Engineers are creative problem-solvers who invent and improve almost anything related to our health, happiness and safety. In short, engineers help shape the future. Ohio State's College of Engineering will help you make a world of difference by providing excellent opportunities to take part in research experiences; interact with outstanding faculty; participate in project teams and organizations related to your respective engineering disciplines; and practice your profession before you even graduate. graduating practitioners with the skills to negotiate real-world situations, the conceptual breadth to offer alternatives to conventional solutions, and the ethical foundation to be role models to all groups. Approximately 70 percent of the college’s undergraduate students participate in our 20-year-old cooperative education or internship programs, led by Engineering Career Services. The college’s reputation for producing engineering talent, as well as for providing superior services to employers, has attracted more than 800 national and international employers including Fortune 500 companies, small and medium-sized manufacturers, engineering and technical services firms, and state and federal agencies. Ohio State is one of the world’s best comprehensive, public research universities, attracting world-class faculty and graduate students with our state-of-the-art facilities and abundant research opportunities. Our engineering graduate program is ranked first among all Ohio universities and 14th nationally among public universities by U.S. News & World Report. A steering device that assists children in powered wheelchairs, an app that enhances ESL teaching and learning, and a system for sustainable crop production in space are just a few of the 200+ projects and inventions that were on display at the College of Engineering’s 10th annual Engineering Capstone Design Showcase in 2017. Sponsored by ArcelorMittal, the event has more than tripled in size since it debuted in 2008. 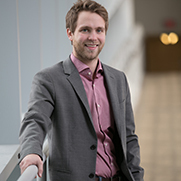 The 2016 Student Innovator of the Year award went to Jacob Mendlovic, a recent Ohio State honors graduate with a degree in mechanical engineering and a minor in nuclear engineering. He is passionate about using innovative engineering solutions to solve real-world problems. Mendlovic is the primary inventor of a patent-pending technology that does electrochemical imaging of below ground biomasses and fuel. He developed a microscale platinum wire probe that uses intrinsic electrochemical properties to create images of subsurface biomass structures. Buckeye engineering students make a difference in Ohio and beyond by implementing transformative solutions to global challenges. In the fall of 2015, students traveled to West Africa to use their technical skills to assist local communities in the Offinso North District of Ghana. The two-week trip and corresponding course marked the launch of the first Engineering Abroad and Service-Learning program to the African continent. 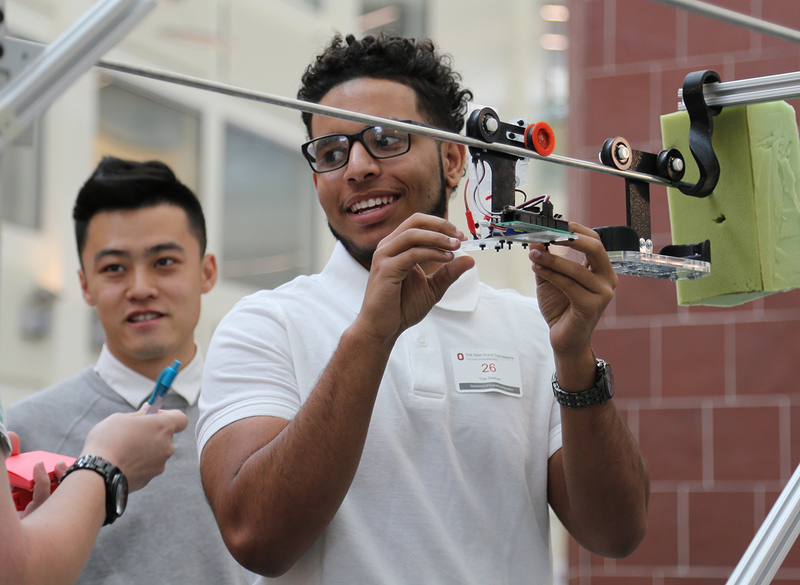 Hundreds of students from the midwest and beyond transform ideas into prototypes in just 24 hours during HackOHI/O, Ohio State's largest hackathon and by far the biggest in Ohio.